Workers’ compensation laws are enacted to provide injured workers with health benefits. However, obtaining workers’ compensation benefits can be challenging. Too often, injured workers face obstacles such as a company attempting to claim that the worker’s health condition isn’t job related, or that their injury isn’t serious. Companies are known for hiring expensive workers’ compensation defense lawyers who will try to settle a case without paying any, or very little, towards a claim. 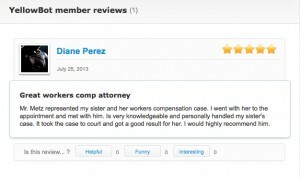 Get the help you need with Cleveland & Metz California lawyers. Big companies have powerful work comp lawyers working for them, and so should you. Since 1997, The Law Offices of Cleveland & Metz have successfully represented injured workers in workers’ compensation cases. California work injury attorneys Charles Cleveland and John Metz specialize in handling work injury accidents, including those related to diseases and traumas, and can help you navigate through California’s workers’ compensation maze of complex rules and procedures. Cleveland & Metz will try your case to the maximum extent of the law, and help you receive the benefits to which you are entitled. There are four basic health benefits under California work comp laws that injured workers are entitled to. An injured worker has the right to select a work injury doctor, and receive medical treatment necessary to cure or relieve an injury. An injured worker has the right to receive payment of two-thirds of their average weekly gross pay, with certain maximum and minimum limits, or state disability if their claim is denied. If an injured worker can’t recover from his or her work injury, they may be entitled to a monetary award. According to workers’ compensation law, after a health condition has been declared permanent, an injured worker may be entitled to permanent disability benefits. If an injured worker is no longer able to perform his or her current work duties, and the employer does not offer the worker another position, he or she may be entitled to workers’ compensation benefits known as vocational rehabilitation. California workers’ compensation laws drastically changed in 2004 and 2012 to benefit the work comp insurance companies. How a work comp case is now handled can greatly impact the amount of benefits you receive, or if you receive them at all. For dates of injury 2013 or later, there is now a new benefit from the return to work fund of $5000. Please contact our office for more information. 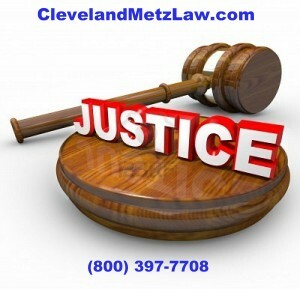 California accident attorneys Cleveland and Metz will ensure that your case is handled professionally. Our fees are on a contingency—meaning, if you don’t win, neither do we. If there is no recovery, there is no attorney fee. To learn more, schedule a free consultation with us by calling (800) 397-7708.